The distance between the only surviving street of the Ghetto and the area of the financial center of Warsaw full of skyscrapers is roughly 300 meters (0.2 miles). But the height record though still belongs to an edifice dating back to 1955. Which is also more or less when Warsaw’s historic Old Town was built. Surprised? 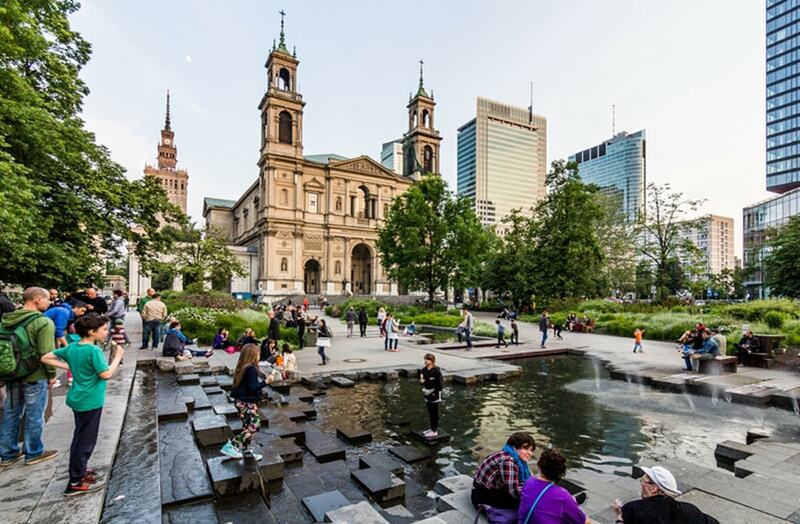 Warsaw is a city of contrasts and paradoxes, discover them and be amazed! You will get to know it all: the royal, communist heritage along the modern face of the Polish capital. I very much enjoyed this tour with Katie last Tuesday (sorry, I don’t remember her Polish name). She had lots of things to tell and was able to transmit why she has fallen in love with her city. She also was very helpful with all kinds of questions. Great experience with fabulous guide! Erik was an awesome guide. His English was easy to understand and he was full of interesting information. The your did not feel rushed and gave me a great overview of the old and new city. I definitely recommend every new visitor take this tour. I went on the Best of Warsaw and Jewish Warsaw tours. Both were informative and engaging, just all around excellent! A walking tour through all the historic stages of Warsaw, from it’s foundation until nowadays. The experience is highly recommendable since our guide, Peter, born and raised in the city, was able to transmit us this great history lesson from the point of view of a regular citizen. He is a really nice guy, ready to answer all our questions. We highly recommend spending this 2 hours with him. We attended on a rainy morning with Gawel. Though we met near the old town, we promptly walked the other direction, and it was lovely to hear about the rest of the city. The tour came in just under 2 hours, ending near the Palace of Culture and Science. It was the perfect amount of time, and the small tour group size made it easy for Gawel to tailor the tour to us. Overall, we would highly recommend this tour! Look for a guide with Orange Umbrella (on the umbrella there are subtitles like Join the Free Tour or orangeumbrella.pl) next to the Sigismund’s Column in the Castle Square in the Old Town of Warsaw. Where does the Best of Warsaw Tour end? Best of Warsaw Tour ends near the Palace of Culture and Science. How long is the Best of Warsaw Tour?